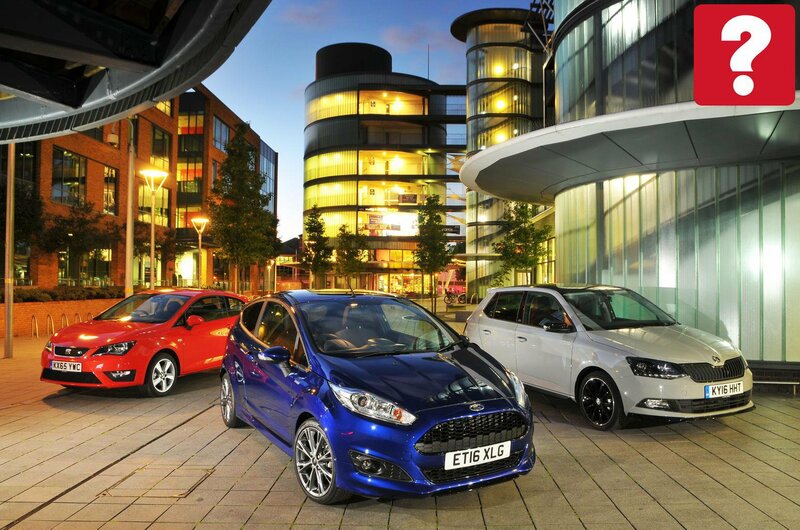 Ford Fiesta ST-Line vs Seat Ibiza FR vs Skoda Fabia Monte Carlo | What Car? The souped-up supermini has long been a popular choice for the young or young-at-heart. The trouble is that while proper hot hatches look the part and will entertain on your favourite B-road, they aren't cheap to run. The answer? Well, one of this trio of hatchbacks could be it. All have sporty styling that should set pulses racing, but none has running costs that'll give you palpitations. 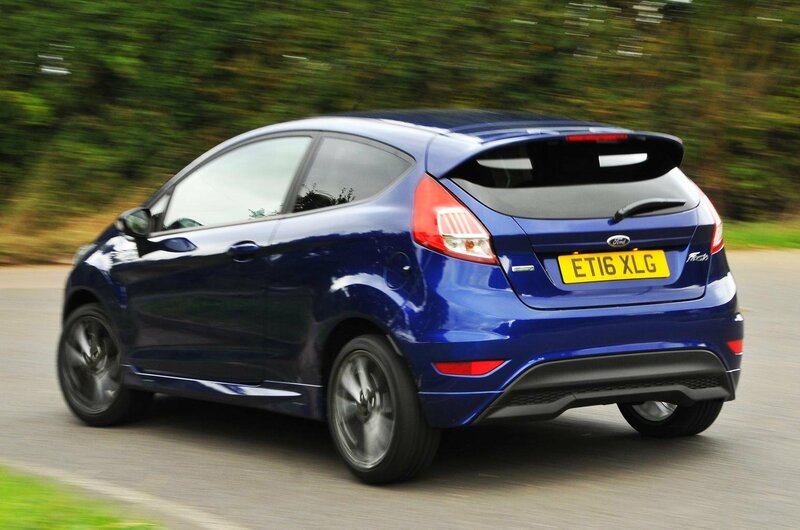 The newest of the three is the Ford Fiesta ST-Line, tested here with a dinky 99bhp 1.0-litre three-cylinder petrol engine. It's bigger brother, the ST, is great fun, so we have high hopes for it. Despite having a bigger engine than the Fiesta, the Skoda Fabia is the least powerful car here. Not that you'd guess thanks to the sporty garnish of Monte Carlo trim. 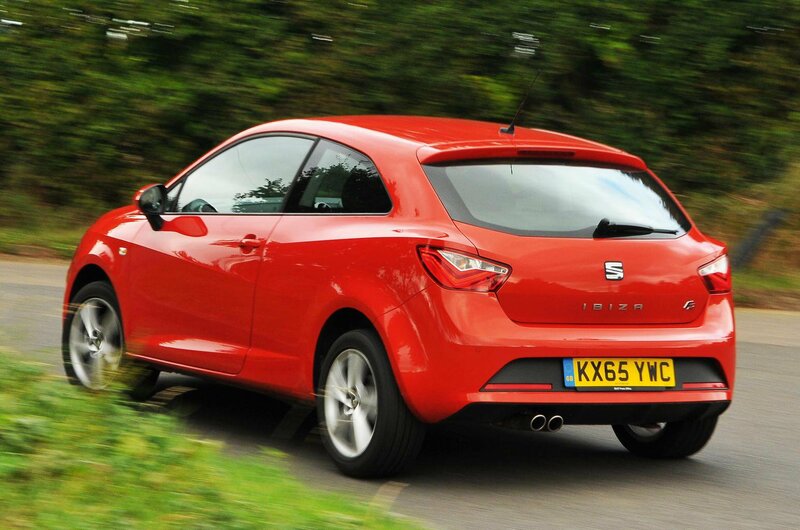 Rounding things off is the coupé-esque Seat Ibiza SC, the most powerful and cheapest of our three contenders. Given that the Ibiza has the most powerful engine, it’s no surprise that it’s the fastest from 0-60mph. What may cause an eyebrow to raise is by how much: the Ibiza scampers to 60mph in 9.5sec, while the other two take a whole second longer. The Fiesta has the next gutsiest engine and matches the Fabia’s 0-60mph time, but can’t accelerate as quickly when already at speed. For braking, the order remains the same, with the Ibiza posting the shortest stopping distance, followed by the Fabia, and the Fiesta taking the longest to come to a halt from both 30mph and 70mph. According to our testing gear, the Ibiza is the loudest of the three. 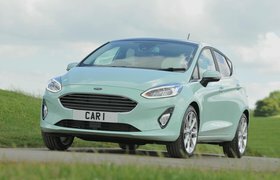 You’ll notice the most suspension noise along rough roads, although the constant drone of the Fiesta’s tyres slapping against the road surface along with wind whistle from around the door mirrors is arguably more annoying. As for the Fabia, it’s no luxury limo, but it’s the quietest of the bunch. It’s also the softest riding, and the most comfortable on the motorway. However, how much fun these cars are to drive is more important than how smooth and quiet they are. At first glance, the Fabia looks like it’ll be the loser here; it might have sporty styling, but it can’t fully hide that boxy five-door body shape. In some respects, it does feel the least racy: its body leans the most under hard cornering, its gearchange is a bit too light and its steering, while precise, never really involves you in the action. 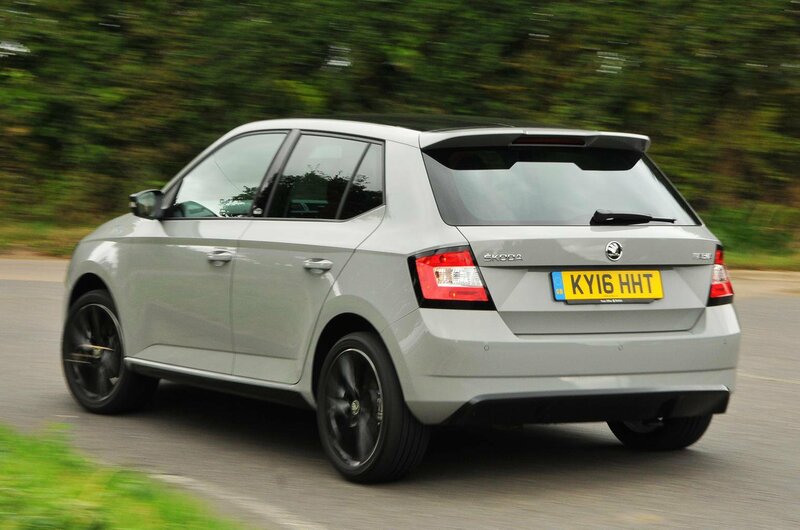 Even so, the Fabia turns in to corners keenly enough and its steering has a pleasing weight that goes some way towards making up for its deficit of feel. Although the Ibiza and Fabia share many of the same oily bits, the Ibiza’s lower-slung body gives the impression it’ll provide plenty of cornering fun. It does sway about less than the Fabia, but it isn’t much more agile. Its steering is also far too light, robbing you of any enjoyment you might get on twisty roads, while the six-speed gearbox offers less resistance than you’d get from stirring a tin of paint. That leaves the Fiesta. It might not be fast, but it instantly feels the most hot-hatch-like to drive. Its gearbox shifts with a pleasingly mechanical feel and its heavier steering streams feedback to your fingertips. Throw it into a corner, and you’ll also find it rolls the least and changes direction with the most joie de vivre. Put simply, you’ll relish attacking your favourite road most in the Fiesta.